Mr Abubakar, in a statement in Abuja on Wednesday, said such actions can be described as assault on democracy and fall short of democratic best practices. He reminded the current administration that it came into being because the preceding PDP federal government ensured free and fair elections at all levels. Mr Abubakar stressed that anything that will put democracy in jeopardy in Ekiti or anywhere else in Nigeria should be stopped forthwith. Mr Abubakar said it is not in the place of government to harass, intimidate, hound and humiliate political opponents in an election but to provide a level playing ground and guarantee the security of the electorate and the principal political actors in the election. 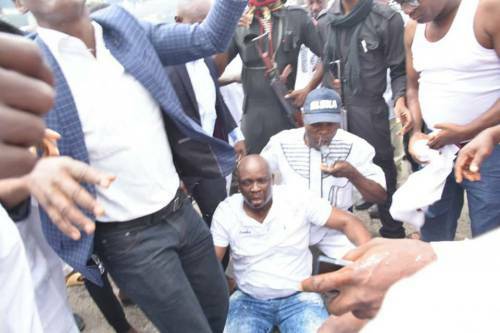 He demanded Instructions be immediately given to all law enforcement bodies on the ground in Ekiti State to act in the best interest of Nigeria. He said those with powers over the security forces to be aware that the world is watching. He, therefore, admonished the federal government to do everything within its powers to douse the tension being generated over the governorship election in Ekiti State. He said It is for this reason that (he) welcomes the call by the United Nations Secretary General, Antonio Guterres, for the reactivation of the National Peace Committee as an instrument to stem the continued escalation of violence and killings in Nigeria. Also a former Nigerian president, Goodluck Jonathan, called for caution over the activities of security agencies deployed to Ekiti ahead of Saturday’s scheduled governorship election. In a statement issued on Wednesday by Mr Jonathan’s spokesman, Ikechukwu Eze, he tasked security personnel deployed to the state to act within the ambit of the laws of the land. He said the presence of armed security operatives is meant to give voters the confidence to come out on election day and vote for candidates of their choice, and not to intimidate them. The former president further charged the security agencies to not only strive to protect the laws of the land, but also seek to prevent any development that could negatively impact on the process of deepening the nation’s democracy.